A comfortable country inn right outside Cooperstown, NY. This 12 room inn has beautiful park-like grounds with an outdoor party pavilion and our own baseball field, and a comfortable owners quarters. Historic waterfront inn on 4+ acres overlooking 800' private beach with dock & moorings. This Hudson Valley Bed and Breakfast is an exceptional four room property, with special features not commonly found with larger Inns. Beautiful turnkey B&B located in the heart of the Finger Lakes and walking distance to the famous Watkins Glen State Park! 5 guest rooms with private baths as well as owners quarters! Originally built in 1796, this turn-key, colonial, bed and breakfast is ready for you. As a successful B&B for the past 14 years, the inn has a great reputation. All four, fully appointed guest suites are on the first floor with owners quarters up stairs. Amazing opportunity to own 3 connecting properties- the exquisite, well-reviewed and popular 10-guest-room Genesee Country Inn (Bed & Breakfast), aranch home with woodshop (3 beds/2 baths) and building lot- all on just under 8 acres featuring a beautiful waterfall and water rights to Spring Creek! The Finger Lakes Bristol Views is nestled in the Bristol Hills overlooking Canandaigua Lake. This beautiful turnkey B&B offers a relaxing getaway and features beautiful vistas, four stunning guest rooms, each with private bath, owners quarters and a deck with a hot tub! Great spot to host weddings! Niagara Falls Historical District walking distance to Niagara Falls, Casino & Canadian Border. Exquisite Home operating as a highly Successful "Turn Key" Bed & Breakfast. Los Gatos Bed & Breakfast is an unusually successful 5 guest room inn, located between Seneca and Keuka Lakes. Besides an excellent location and financial success, Los Gatos has real expansion capability and great owner’s quarters – everything one could hope for in a “small” B&B. Landmark Inn in Cooperstown, New York, is, flat out, the best opportunity we have in our repertoire. In the last twelve months, sales have been $640,000 with an Average Daily Rate of $251 and Occupancy rate of 62%. This results in cash flow of well over $200,000. Centrally located between two largest lakes, 2nd largest wine region, Cornell, Ithaca College and spectacular waterfalls. Inn has two buildings; 8 suites and the spa has two treatment rooms. Extraordinary Property with over 5000 sq. feet of living space graced with hardwood floors throughout and "Grand" center entrance. Classic "Modern Day" Victorian style home graces itself with a large wrap around porch with distinctive designs, turret, wide hallways, large rooms with each bedroom. 12,000sf + Mansion with 150-guest ballroom in Rochester, NY and the Finger Lakes Region. Own a piece of history on magnificent millionaire's row in the thousand islands region of upstate NY! MAJOR PRICE DROP! Turn-key 3-room Victorian bed and breakfast with generous owner's quarters in bustling, walkable historic harbor town half way between the Hamptons and New York City makes your B&B dream come true! Classic Country Inn on Oquaga Lake 400' of waterfront with 12 suites and 4 standard rooms. Foothills of the Catskills. This iconic Gothic Revival mansion is situated on 4 private acres in the Hudson Valley Rivertown of S. Nyack, NY. - 35 minutes north of NYC. Features 5 bedrooms, each with either an en suite bath or adjacent to a bathroom. Currently a single-family home but can be used as an owner-occupied B&B. Just 2 miles from vibrant downtown Saratoga Springs, this historic B & B accommodates up to 22 There is an elegant, newly constructed separate innkeeper’s home. Outbuildings (3) include a 1900’s carriage house, all on 4 acres. An adjacent 4.5 acre lot is available. Both lots are sub-dividable. THE FOX INN - A Prominent/Historic Circa 1820 Greek Revival B&B with carriage house. Nestled in the village of Penn Yan on beautiful Keuka Lake in the heart of Finger Lakes wine country. Total 6,890 Sq.Ft.- 9 Bedrooms / 8 Bathrooms this includes carriage house and innkeepers quarters. Hazen Manor is a farm to table bed and breakfast that has been in business since 2007. Twin Gables is a Woodstock landmark, established in 1926, renowned for almost a century for its relaxed, friendly atmosphere and charming ambiance; located in the center of the Woodstock village and walking distance to most shops, galleries and restaurants. Fly Creek House/Pottery House-Outside Cooperstown! An elegant, yet cozy colonial house built in 1860 with 5 guest rooms all with ensuite baths. Located in the highly desirable Hamptons on Long Island. This career B&B is the lifestyle change you've been waiting for. Beautiful Estate with Lots of Land! 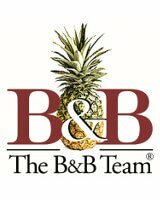 The opportunity to purchase successful Bed and Breakfast with established clientele and reputation. Great location minutes away from picturesque Skaneateles village, gorgeous lake and many wineries. The Hummingbird B&B has been fully renovated and restored in 2000 and is in excellent condition. A ten room Inn all with private baths,cable,A/C,mini-fridge and furnishings. A beautiful covered patio with gardens and creek running through the backyard. A separate owners' house (2100sq ft) built in 1996 and substantially renovated between '06 and '13 provides complete privacy on a gorgeous piece of the Adirondack park while hosting guests in 3 1931 roadside cabins renovated in 2009 and run as the Cabins in Hope for 5 seasons.